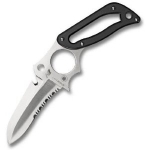 First, I'm not sure what the occupation is of the gentleman who "Rated" a few of the knives crafted by CRKT. I suspect he is a Cop, because I am too. All the knives on his Rating Chart could easily be Used in an On Duty Carry "Best of" Article. I would NEVER criticize a Fellow Cop, (If he is one) all have their favorites. But The Knife I have is VERY well balanced, and holds an edge like a champ. (If you know how to sharpen it) I have cleaned as many as 3 deer in one day with my knife. No Problems. 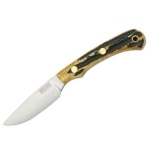 This entire line of Quality Knives is designed by Russell Kommer Custom Knives. Highly recommended! !